Why choose a resin driveway? 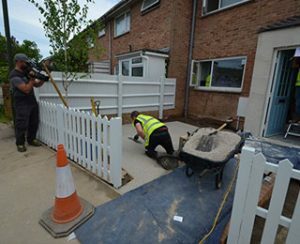 Why Is Permeable Resin Bound Important? 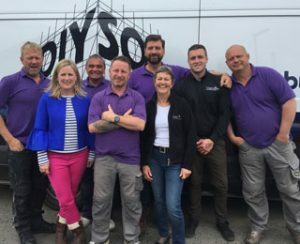 Clearstone lend a hand in DIY SOS The Big Build, becoming part of the team that transforms the family home for Amanda. In just nine days, 300 volunteers totally upgraded her house, customising it to meet all her current and future needs, including a resin bound ramp up to her front door. Amanda had said she sometimes felt like a ‘prisoner in her own home’ in Yapton since breaking her spine. 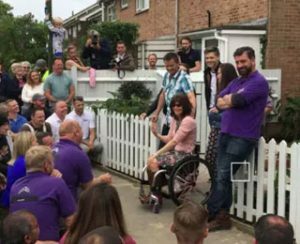 The adaptions the DIY SOS team installed gave her the freedom to be a proper mum again. Amanda, mother of four and wife to local builder Vic, was training on her bicycle for an iron man when her brakes failed. Travelling at 40 mph, she lost control and smashed into a sign post which catapulted her into bushes. On arrival at A&E, she was told that she had been left paralysed. That evening, a national newspaper featured her selfie from the hospital with a beaming smile advising friends: ‘I don’t want to make anyone sad or upset but I’m not going to walk again’, and she was determined to continue to compete as a para-athlete. Clearstone’s lads volunteer to hand-trowel a smooth natural stone resin entrance for Amanda, so she could glide from the pavement into her family home, with no impediment. With so many trades on site, stepping over each other to complete their jobs, the biggest challenge for Craig and Jon was to keep those big feet off the resin bound before it had time to set firm! 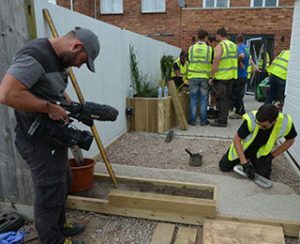 Those in the background doing the mixing and those laying the resin bound with impeccable precision, fending off planters and plaster board being handed over their heads, enjoyed the frenetic fun of the DIY SOS family, and especially the catering wagon! Clearstone Paving Ltd. Unit 5A, Valley Farm Business Park, Reeds Lane, Sayers Common, West Sussex BN6 9JQ.